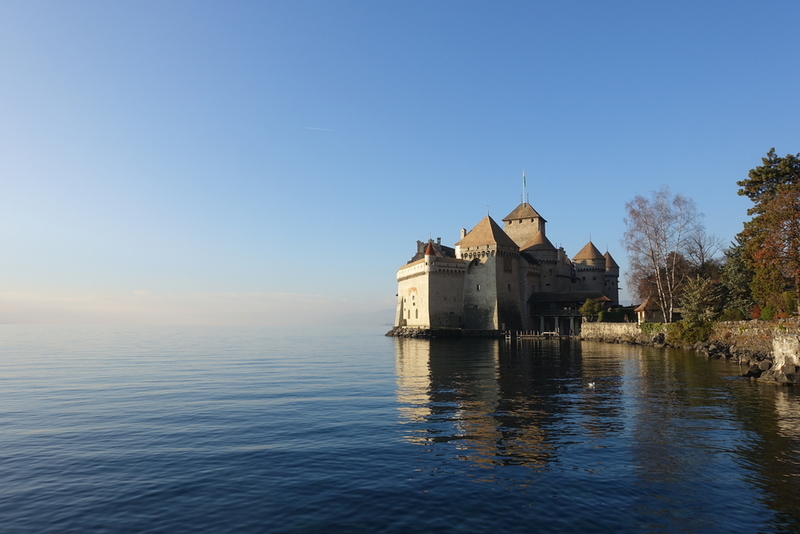 I'd been eager to visit Switzerland for a while, and when we found decently priced tickets over a school break at the beginning of December, I didn't care that it would be cold and potentially snowy - we could always return when the grass was greener and the days were longer. 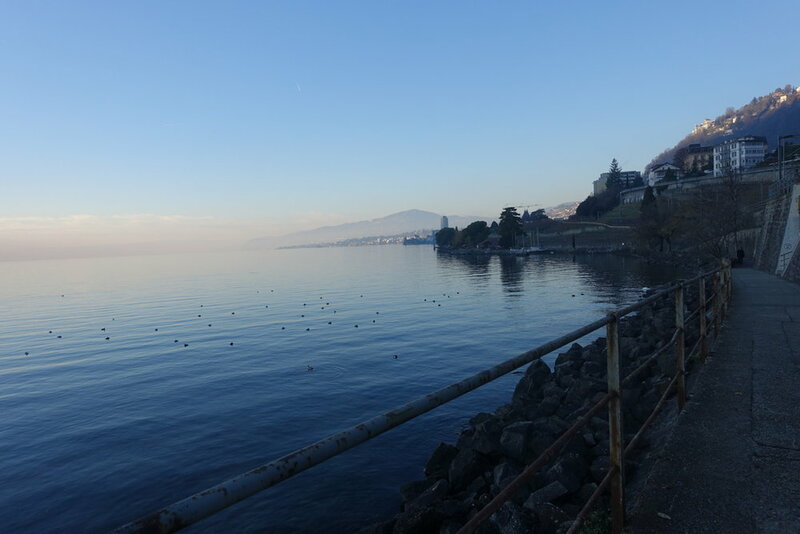 We flew in and out of Geneva and immediately took the train to Lausanne, where we spent our first day and night learning about the Olympics and eating cheese (see more here!). 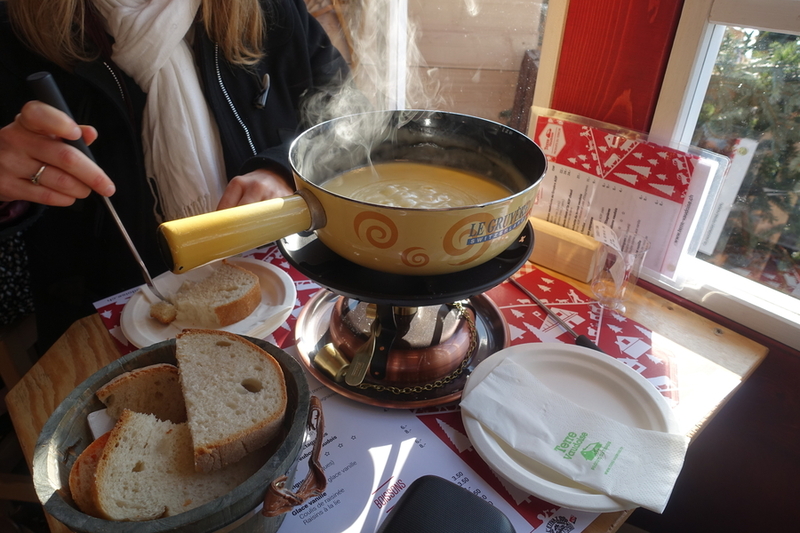 The train from Lausanne to Montreux is only about thirty minutes, so after dropping our things at our Airbnb and sitting outside to let Danny catch up on a few work things, we set off for the Christmas markets as it was about lunchtime. 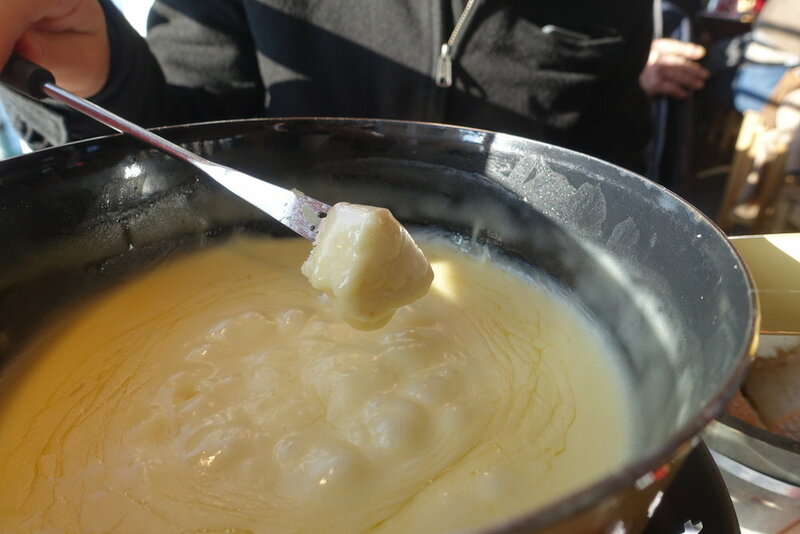 We settled on fondue, our first (and only, thus far!) 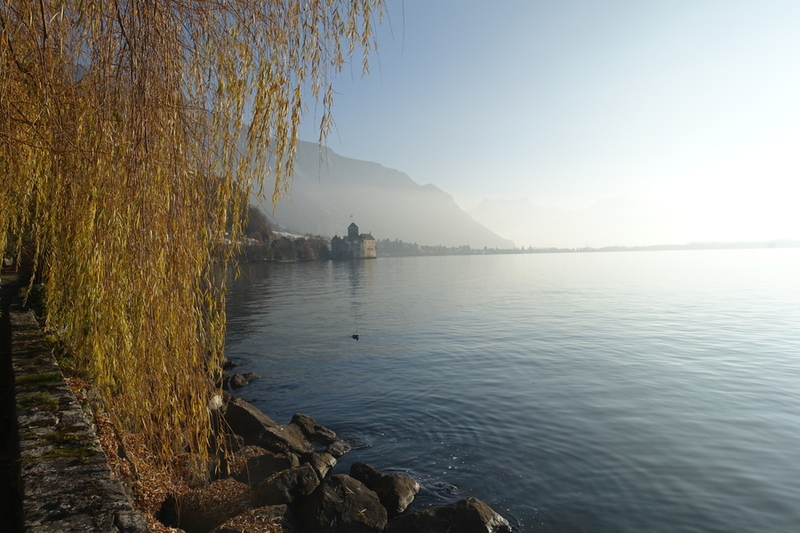 in Switzerland at a hut set up along the lake for the Christmas season. We had fun dipping our potatoes and bread into the bubbling cheese, and were surprised at how quickly we filled up - I suppose all the cheese and carbs will do that! D - Fondue is one of those meals that really makes me want to invest in some new kitchen equipment so that I can replicate it at home. The jury's still out on whether Shannon will let me do that or not, but regardless, it's an amazing meal. 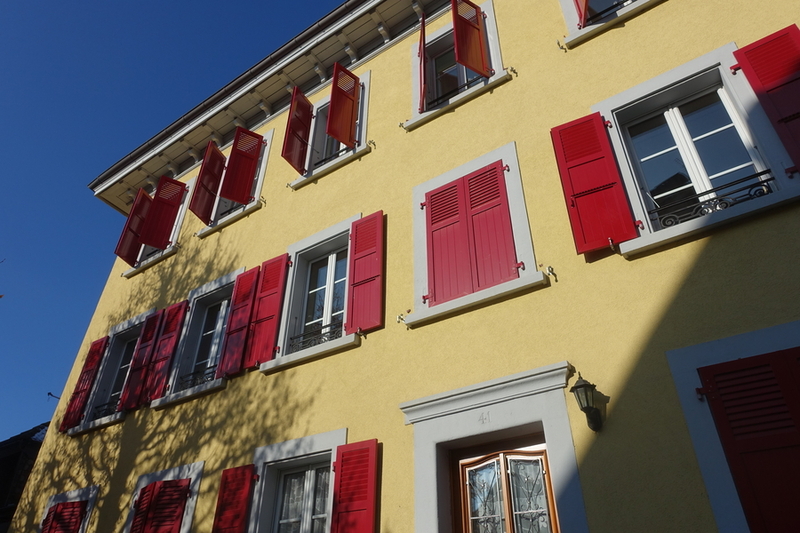 The markets stretch for a ways along the shore of Lake Geneva, and many stalls sell what you might expect - chocolates, cheese, ornaments, crafts, traditional Christmas market goods - but also more offbeat offerings, like antiques and things you might find in a secondhand store. After walking past everything a few times and debating whether or not we should buy anything, we finally decided to buy a small Nativity scene that caught our eye. We haven't bought any souvenirs on our travels (aside from three candle holders we picked up in Rabat, Morocco, and still feel a lot of regret about), so hopefully this latest 'splurge' won't lead us into experiencing buyer's remorse again. 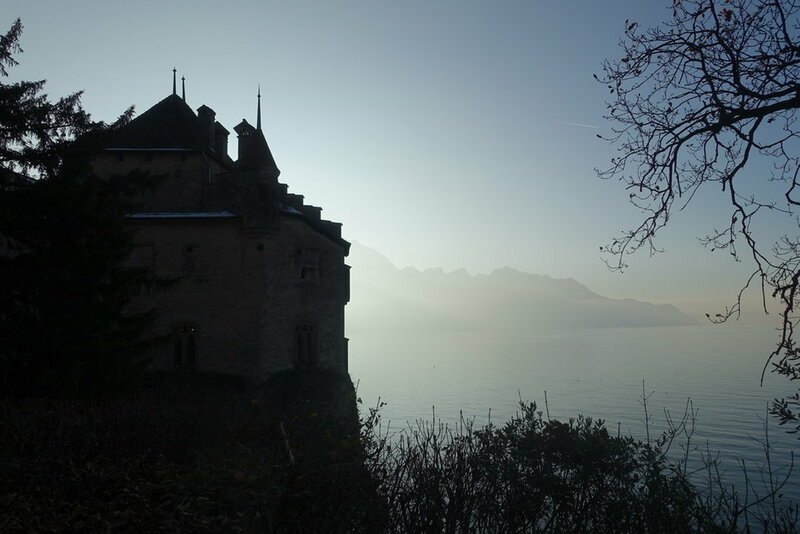 One of Montreux's main year-round attractions is the Château de Chillon, or Chillon Castle. 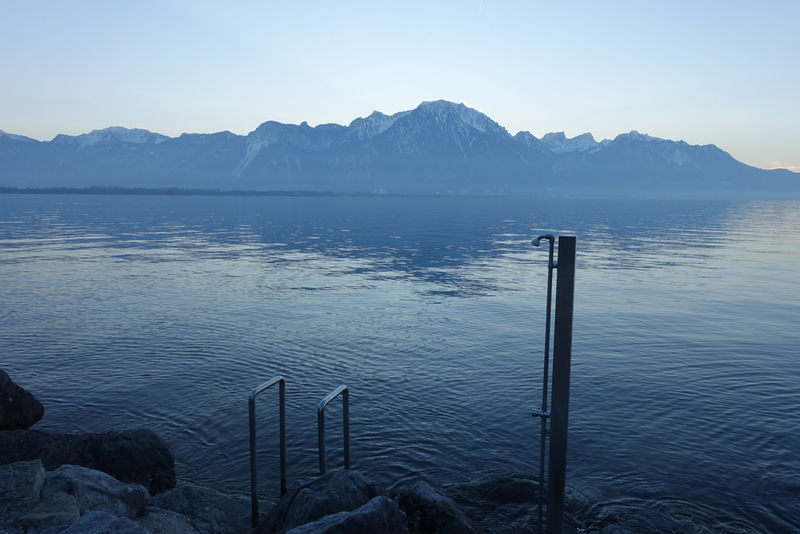 It's very walkable from the center of Montreux (about 45 minutes, depending on where you begin), especially since the path hugs Lake Geneva on one side, and on the other, grand homes and hotels. 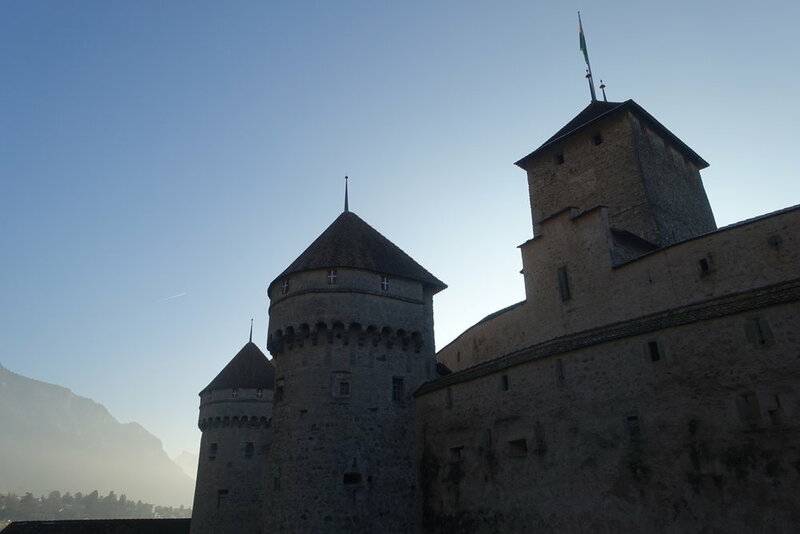 On a clear day, there are stunning views of the Alps, and of course, as you get closer, the castle. We opted not to go in as we were happy to enjoy the thousand-year-old beauty from the outside before turning around to make the journey back. D - As you can see in our photos, the day we were there wasn't particularly clear. The sun was really blinding and there were clouds hovering around the mountains all day. It was a really delightful surprise for us when the mountains suddenly appeared after the sun descended behind them! It was such a magical moment, that I had Shannon take about 30 pictures of me on some rocks, to try to capture just a bit of the magic. I think it was probably her highlight of our time in Montreux! We spent the remainder of the evening walking through the lively Christmas markets again, including one that's indoors, a very welcome respite from the chilly Swiss winter evening. 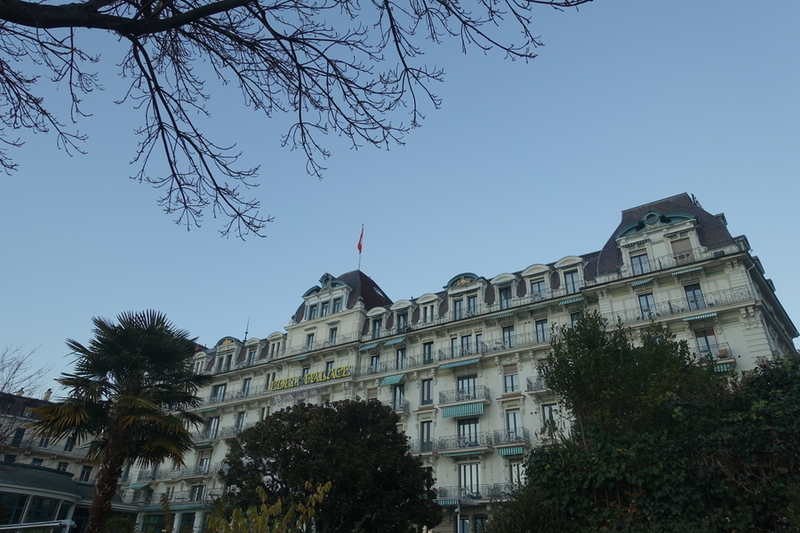 We shared a few pieces of quiche, chatted with a member of the staff who'd grown up in the US but had been living in Montreux for a while, and ate some cookies that we'd bought from an outdoor stall before watching the light show on the Montreux Palace (okay, but not as great as we were hoping). And, like the locals, we watched Santa jet across the lake in his sleigh a few times as he waved to the bundled-up crowds. D - Yes, you heard that right. At this Christmas market, they have a real live Santa who "flies" over the lake on his sleigh. Near the end of the flight (read: steel cable), the sleigh even shoots sparks out of the back (similar to the Razor scooter I used to ride in college). It's very cool, and not awkward at all when Santa's sleigh flies backwards to return to its starting point while everyone is still watching. 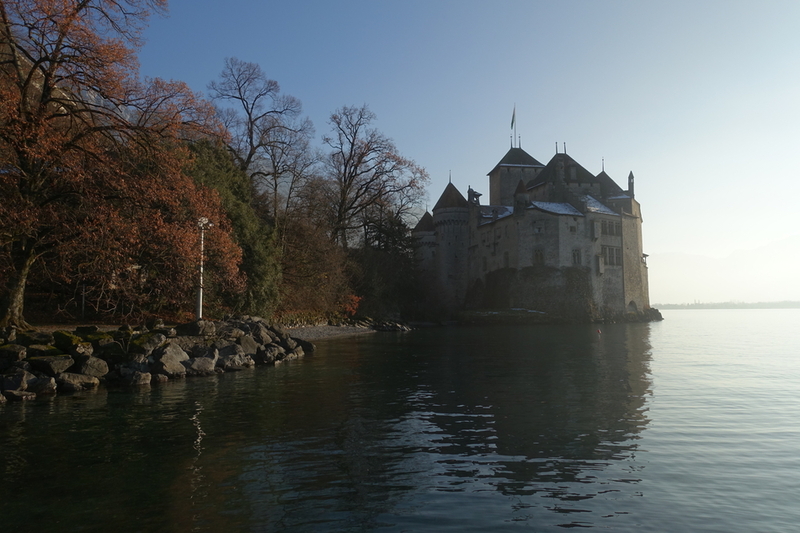 I don't want to spoil the surprise, but Montreux was definitely the most festive and fun of the four Swiss cities we visited on our trip. 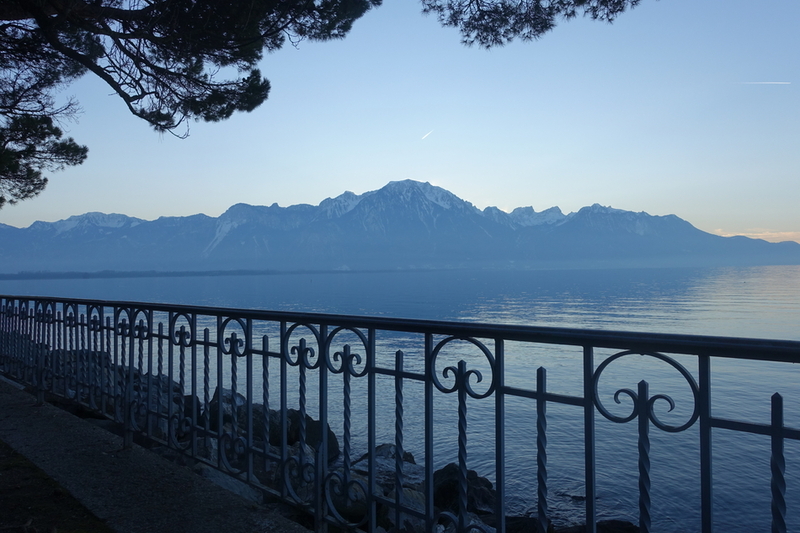 The Christmas markets were great, the food was good (of course, we did stick to "low-budget" items, at least, for Switzerland that is), but honestly, the real showstoppers was the mountains and the lake. 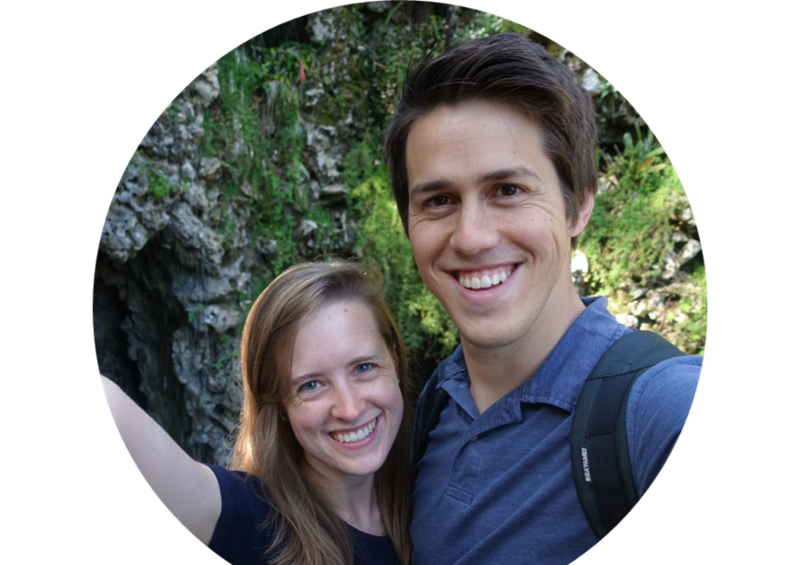 We'd seen so many photos of Switzerland's natural beauty, but getting a chance to see a bit of it for ourselves on this day was really a treat, and no doubt a major highlight of our trip.